Watch her as she glides peacefull over the tiny waves as a wall sticker. Can't get enough of this beautiful swan? We also have her sitting gently in the lake under the full moon in our Sweet dreams wall light. Good to see we are not the only ones captivated by the Swans. 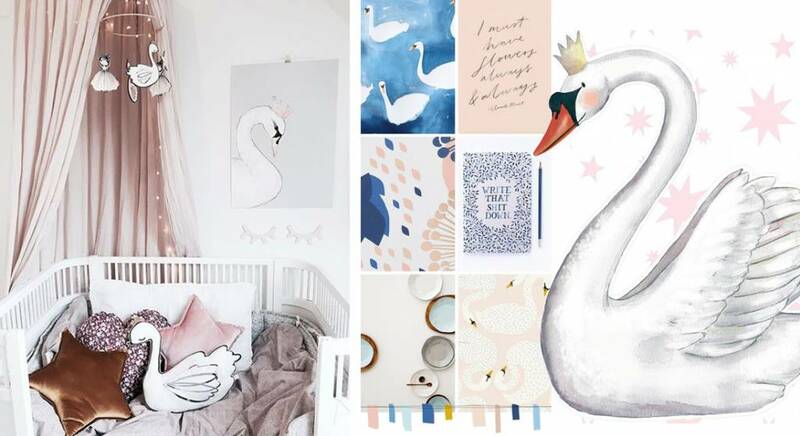 You will find lots of inspiration for kids rooms on Pinterest and Instagram at the moment.